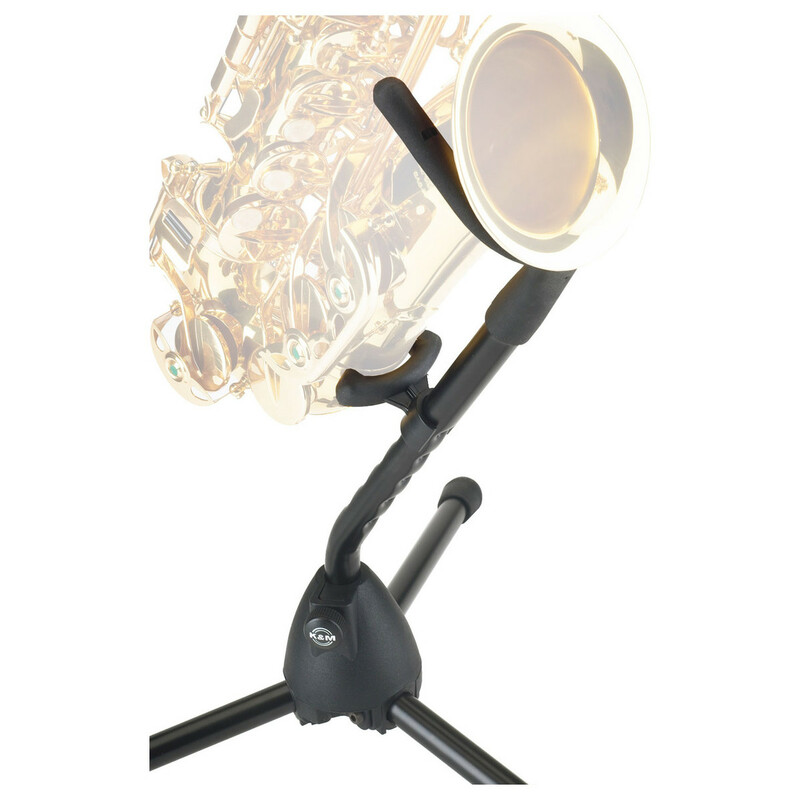 The K&M 14300 Saxophone Stand safely holds your instrument both at home and in live venues. The stand has three steel legs that provide a sturdy base. The arched frame of the stand is a style that gives your saxophone a more comfortable fitting. The lightweight stand's folding legs make it easily portable. The stand is finished in a smart black colour, and is ideal for musicians wanting to keep their saxophone safe and organised. 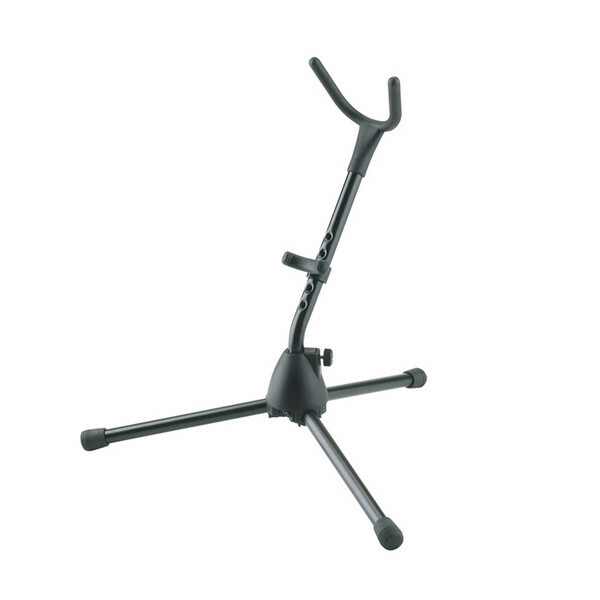 This stand is designed to fit Eb alto and Bb tenor saxophones. Flexible upper support arm for different bell sizes. Lower support arm bracket with several vertical locking positions. All instrument support parts covered with exclusive non-marring plastic coating. To be used with peg holder 14301 and clarinet peg or with peg holder, adapter 15281 and pegs for trumpet, soprano sax or flugelhorn.